Named for the famous opening utterance in Sweet Home Alabama, Turn It Up pays tribute to the legendary Lynyrd Skynyrd. This band is dedicated to the authentic sound that was instrumental in bringing southern rock to the masses. 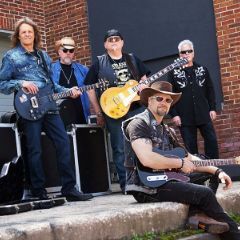 You will be taken on a memorable southern journey performing all of your favorite Lynyrd Skynyrd hits.